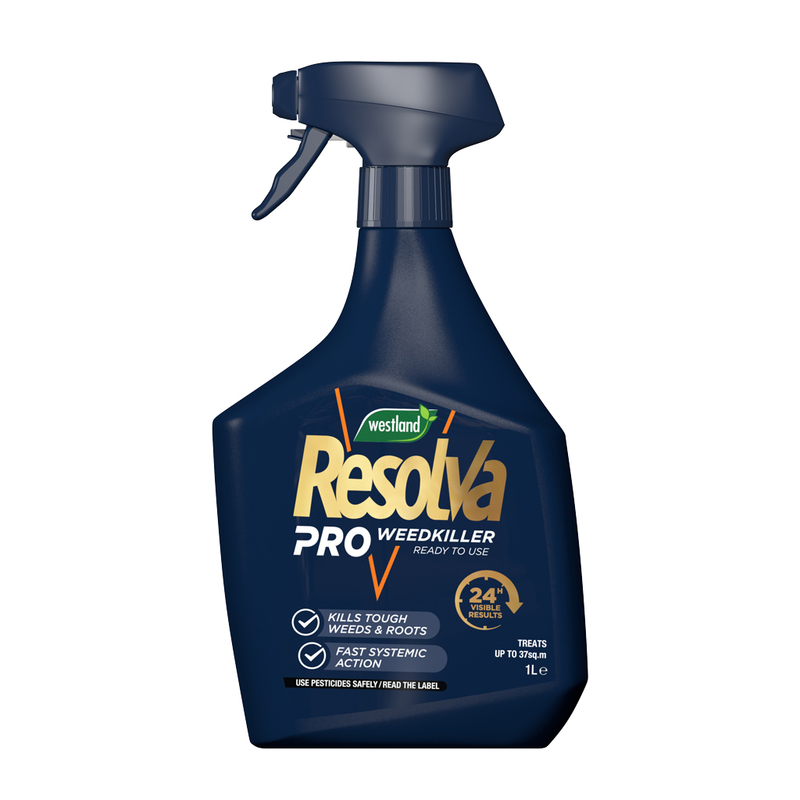 Resolva Pro is a ready to use systemic Weedkiller ideal for controlling annual and deep-rooted perennial weeds. 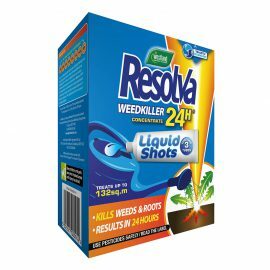 It delivers effective and quick results even on tough weeds, so they don’t come back. 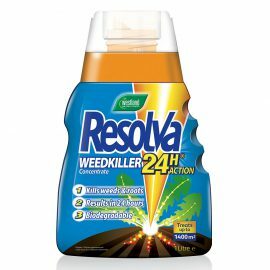 This next generation weedkiller is the result of 7 years of development to bring innovation into your garden. Weeds can be a problem around the garden especially if you let them grow. They will compete for the same space and nutrients as your plants and if left untreated, they will create seedlings and spread further. 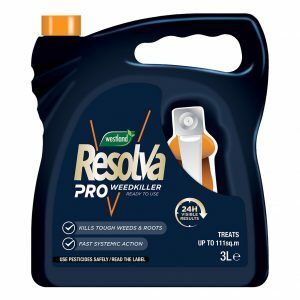 Using Resolva Pro Weedkiller gives you the confidence that even tough weeds will be killed fast, right down to the root, so they don’t come back! 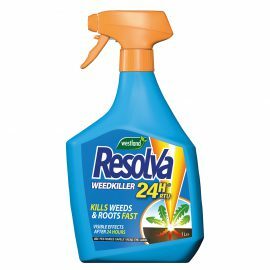 Resolva Pro Weedkiller controls a wide spectrum of annual and deep rooted perennial weeds including Grasses, Couch Grass, Docks, Thistles, Nettles, Dandelions, Bindweed and many more. 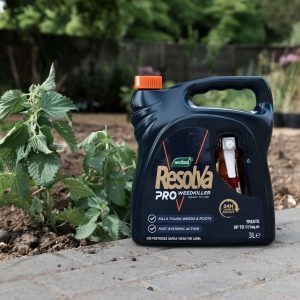 Resolva Pro is available in a 1L and 3L format to meet the needs of different garden sizes and level of infestation. This makes Resolva Pro Weedkiller the ideal product to use to control even tough weeds around your garden. 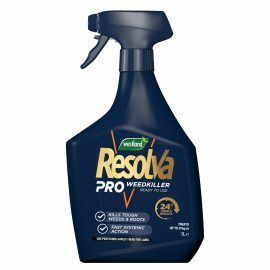 Resolva Pro Weedkiller contains Glyphosate. Use plant protection products safely. Always read the label and product information before use. A single application should do the job! This type of weedkiller is absorbed by the leaf into the weed sap and transported to all growing points, including the roots. This process makes sure it kills the whole weed and root so it won’t come back! The time it takes depends on the weed size, season (best when they are actively growing) and weather conditions. Q. Can my pets go into the treated area? A. NO (unless you intend to kill the grass). 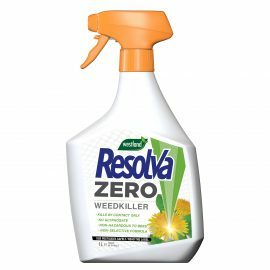 Resolva Pro Weedkiller will kill annual and deep-rooted perennial weeds including grasses – Only use on unwanted vegetation. Q. 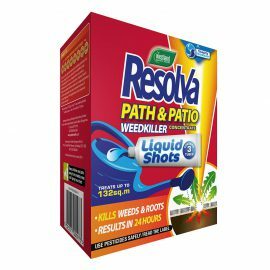 Can I use Resolva Pro Weedkiller on areas other than paths and patios? A. YES this product can be used on beds, borders, paths, patios, driveways, waste ground and around the base of fruit trees. 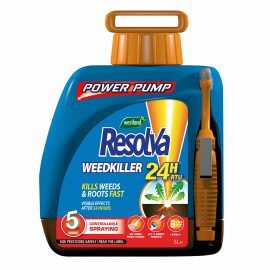 It can also be used to kill off lawns before re-seeding or re-turfing. DO NOT SPRAY HEDGE BOTTOMS. 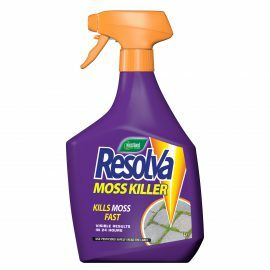 DO NOT use on lawns unless you intend to kill the grass. WARNING: Contains 1,2-benzisothiazol-3(2H)-one sodium salt. May produce an allergic reaction. If medical advice is needed, have product container or label at hand. Keep out of reach of children. 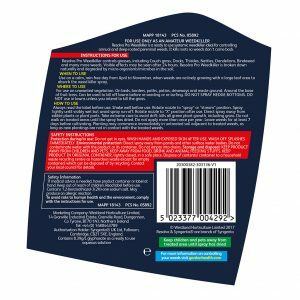 Read label before use.